The children in our town all headed back to school yesterday and, in what has become a homeschooling tradition for us, we spent the day on a field trip. Typically we head to the beach, the zoo, or the aquarium. Yesterday we headed to the Ecotarium in hopes of getting a glimpse at their new baby otter. Unfortunately, the otters were not cooperating and we never got to see them. Luckily, there were lots of new exhibits and a few of our old favorites to check out. We saw lots of live animals. We also saw two other varieties of turtles, lots of frogs, a red tailed hawk and a sugar glider. The boys learned about city life in their new exhibit. We learned about sewers and water treatment, noise and noise pollution, building bridges, and mapping too. 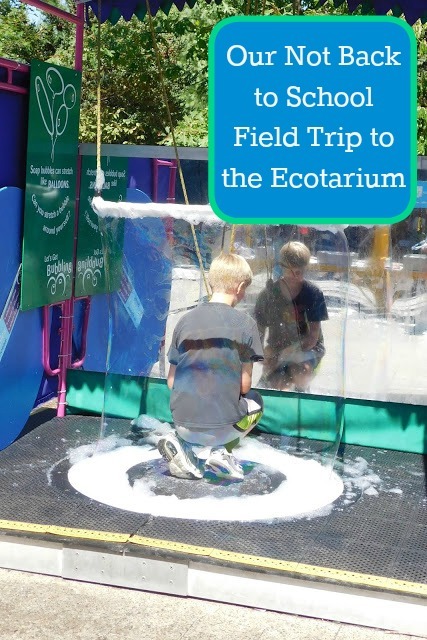 With the summer sunshine still going strong, the Ecotarium had their bubble centers set up and it seems like no matter how many times we play with them bubbles are just fascinating! 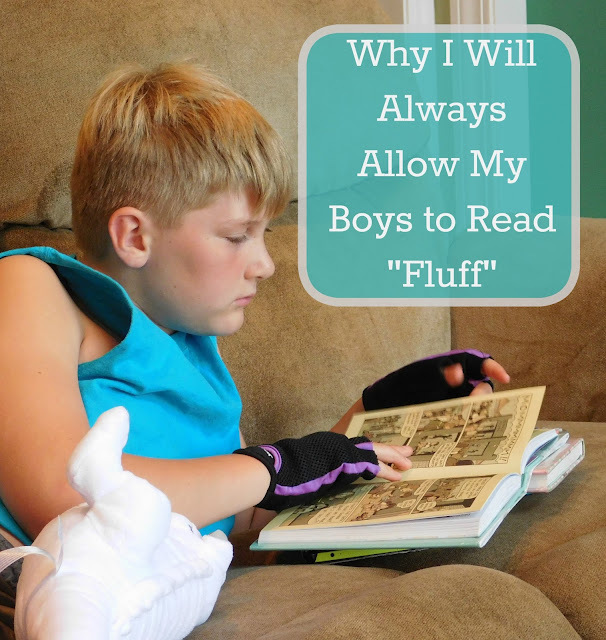 Why I Will Always Let My Boys Read "Fluff"
There seem to be two schools of parenting or teaching when it comes to encouraging kids to read: One camp wants to see kids reading quality literature and frown upon " fluff " (books of little substance or consequence that are superficially entertaining) while the other camp is just happy to see their kids reading. In case you couldn't tell by the title of this post, I'm one of those moms that is just happy to see her kids reading. Out of my three boys I only have one that LOVES to read and the other two tend to shy away from it. I usually have to cajole them into reading for just 15 minutes. Our last link up of the summer! When I next "see" you it will be September. In New England September signals the start of school for everyone, thoughts turn to apples, pumpkins and fall. The air is already turning just a bit cooler though I continue to hope for a few last days of summer to enjoy with my boys. I can't deny that I do love fall though and look forward to sweaters, crisp cool mornings and the beauty of the changing leaves. A collection of educational activities to instill a life long love of learning in our children. Enjoy learning through play, nature, crafts, and many other educational activities. This is a PIN-IT PARTY Your hosts will pin our favorite posts to our Pinterest boards! I encourage you to do the same! and SOCIAL MEDIA HOP! Add all or some of your favorite social media links below the main hop. I have three boys and their personalities are so very different. From day one each asserted himself in a unique way and I have always tried to treat them as individuals. That said, it's not always easy to stop comparing them. Lately I have been realizing that I am trying to force my youngest son to be a bit more like his brothers. He is reluctant to grow up. 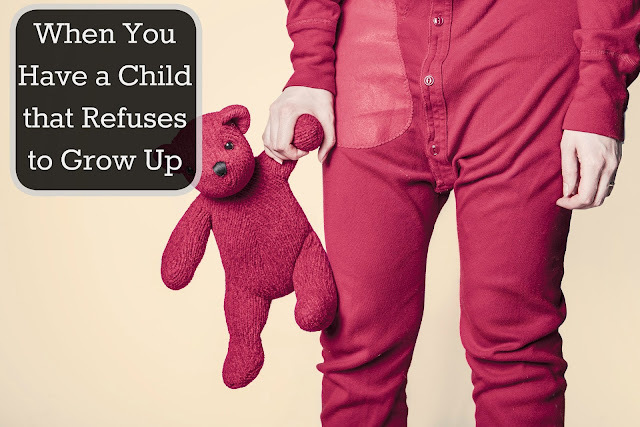 Holding onto childhood likes and interests, resisting learning any new self- help skills, etc. and I have been struggling to accept that. My oldest two boys were always pushing the envelope to try new things. They were in a hurry to grow up! Often the asked to take on new skills before I thought they were ready. My oldest was driving heavy equipment around by the time he was 8! Vegetable Fettuccine Alfredo-- 2 Ways! Weekly Wrap- Up: The Week We Went Peach Picking. Glad to Do It! Book Giveaway!